The Finance Division supports and advances Fairleigh Dickinson University's mission by developing and maintaining accounting, financial management and reporting procedures and systems that ensure fiscal integrity and provide financial stewardship over University resources. Our web site is designed to provide information to assist you in fulfilling your financial administrative tasks. We welcome any feedback you may have. For assistance, use our contact listing of staff and departments. 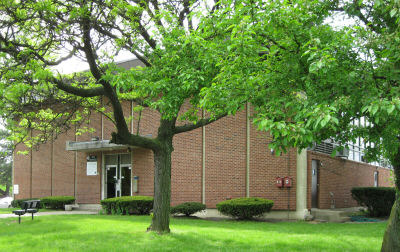 The Finance Division offices are mainly located on the Metropolitan Campus in the Field House, 1130 River Road in Teaneck, 2nd floor. The Purchasing Department is located next to the Field House at 1154 River Road. The Finance Division is responsible for managing and advising on overall accounting, treasury, procurement, budgeting, payment obligations, grant accounting, and student loan repayment and collections operations of the University. This includes maintaining a sound and effective internal control environment to ensure compliance with generally accepted accounting principles as well as relevant federal and state regulations. We are also responsible for recording and reporting on the University’s financial activities to the Board of Trustees, donors, the government and other external agencies. We work with other departments of the University to promote operational efficiency by establishing and implementing best practices and financial policies, and providing information and guidance.